SAN DIEGO — February 20, 2009 — “Time is brain,” the saying goes, but women may not get the prompt stroke treatment provided to men, because women do not always present with the more traditional stroke symptoms, according to a study presented here at the International Stroke Conference (ISC) 2009. “The gender disparities in [stroke] presentation are increasing hospital delays for critical tests,” noted Lynda Lisabeth, PhD, MPH, University of Michigan, Ann Arbor, Michigan, speaking here at a presentation on February 19. The more traditional symptoms of numbness or weakness on one side of the body, double vision, trouble with words, loss of coordination, and facial weakness may be replaced in women with more vague symptoms that can include altered mental status — disorientation, confusion, or loss of consciousness – headache, and non-neurologic issues. Active surveillance of emergency-department and admissions logs was used to identify ischaemic stroke/transient ischaemic attack (TIA) cases presenting to the University of Michigan Hospital between January 2005 and December 2007. Stroke/TIA symptoms were ascertained through patient interviews and classified as traditional or nontraditional. “We wanted to build on that research by collecting data from patient interviews, asking them to recall symptoms that brought them to the hospital,” said Dr. Lisabeth, who added that, of all patients approached, almost 90% participated in the questionnaire. Haemorrhagic-stroke patients were not included because their symptoms could have distorted the findings. The study found that the methods used were based on frequency and percentage of nontraditional stroke/TIA symptoms and each symptom was calculated by gender and compared using Chi-square tests. Logistic regression was used to compare nontraditional symptoms in women and men adjusted for stroke type (ischaemic stroke vs TIA), proxy use, and age. Sample size for this pilot was based on a predicted odds ratio of 1.8 comparing men and women with respect to nontraditional symptoms (20% prevalence of nontraditional symptoms among men, 5% significance level, 80% power). Four hundred eighty stroke/TIA cases among 461 individuals were identified; of those, 48.6% were women and 87% were white. The median age in this study was 67 years and did not differ by gender. Among women, 51.8% reported more than 1 nontraditional stroke/TIA symptom compared with 43.9% of men (P = .09). The most prevalent nontraditional symptom was mental-status change (women 23.2%; men 15.2%; P = .03). The odds of reporting at least 1 nontraditional stroke/TIA symptom were 1.42 times greater in women than in men (95% confidence interval, 0.97-2.06). The prospective, observational study concluded that women with stroke/TIA were 40% more likely to report any nontraditional symptom and, in particular, altered mental status, compared with men. 1. Labiche LA et al. Ann Emerg Med. 2002;40:453-460. 2. Washington DL, Bird CE. Ann Emerg Med. 2002;40:461-463. So, the red carpet coverage was about as ho-hum as it gets, but the show itself started off incredibly strong. Hugh Jackman, living up to his Sexiest Man Alive image, looked handsome as he burned off thousands of calories doing a song and dance bit highlighting the Best Film nominees. It was smart, snappy, original, and proved Jackman’s a helluva entertainer. The medley was ‘recession-era’ inspired and the handmade-looking sets were perfect. Plus, the song included a poke in the eye to Academy members who snubbed The Dark Knight! It was a fantastic way to start off the show, an Oscar broadcast that turned out to be the most entertaining one in a decade. Love the idea of five past Oscar winners acknowledging the current five nominees. No clips were shown but each little speech actually seemed to mean something to this year’s nominees. Penelope Cruz and screenwriter Dustin Lance Black’s emotional speeches were coherent AND obviously from the heart. Jack Black to co-presenter Jennifer Aniston on the financial benefits of doing voicework: His strategy – do one DreamWorks Animation picture a year, take all the money you earn from that to the Oscars and place it on Pixar to win. Wow. Ben Stiller doing Joaquin Phoenix. Co-presenter Natalie Portman’s response: “You look like you work in a Hasidic meth lab.” Priceless. Judd Apatow’s piece starring Pineapple Express co-stars James Franco and Seth Rogen highlighting the best comedies of ’08 helped to show comedy was in fact king in 2008. Why doesn’t the Academy recognize that? I think someone spiked my coffee. I even liked the musical number featuring Jackman, Beyonce, Amanda Seyfried, Dominic Cooper, Zac Efron and Vanessa Hudgens. The standing ovation given to Heath Ledger’s family as they approached the stage was truly a beautiful moment, as was being able to listen to the heathfelt acceptance speech by Heath’s mother, father, and sister. Heath’s family accepted on behalf of his lovely daughter, Matilda. The real Man on Wire balancing the Oscar on his chin provided the Academy with a new clip to add to its annual highlight reel. Jerry Lewis is still loved by his fellow actors. Lewis received the night’s longest standing ovation as he graciously accepted the Jean Hersholt Humanitarian Award. The ‘In Memoriam’ portion was even more poignant than usual as Queen Latifah sang I’ll Be Seeing You while those we’ve lost this year were remembered through a photo montage. Danny Boyle jumped up and down like a crazy man and then explained why he was behaving that way when accepting his Best Director Oscar. Apparently he promised his kids that if this ever happened to him, he’d act like Tigger. And then he took the time to talk about say how much he was enjoying the show and how well it was put together. And for those who wonder about such things, Danny Boyle is just as nice as he comes across. I wanted Kate Winslet to win but I thought voters would split between Winslet and Meryl Streep and Anne Hathaway would slide in. But Winslet finally did it! Her performance in The Reader was extraordinary and it was obvious the role meant a lot to her as she rolled off her long list of thank yous at a breakneck pace. She dedicated the award to Sidney Pollack and Anthony Mingella, now deceased, who produced the film. Sean Penn admitted he knows how he hard he makes it to like him sometimes – and he called the Academy voters commie homo loving sons of guns. Maybe it wasn’t as good of a speech as we would have gotten out of Mickey Rourke, but it was one of Penn’s best ever. And his passionate plea for equal rights for everyone was met with resounding applause. And after about 3 hours and 15 minutes it wound up being a Slumdog Millionaire night, just like everyone had predicted. Slumdog‘s huge cast joined the producer up on stage to soak up the love as the little film that could did in fact turn out to be the little film that did. Slumdog Millionaire went home the big winner with 8 Academy Awards. ABSTRACT: BACKGROUND: The objective was to identify separate cognitive domains in the standard assessment tools (MMSE, ADAS-Cog) and analyze the process of decline within domains during three years in Alzheimers disease (AD) patients with donepezil treatment. METHOD: AD patients (n = 421) were recruited from a clinical multi-centre study program in Sweden. Patients were assessed every six months during three years. All patients received donepezil starting directly after study entry. After dropouts, 158 patients remained for analyses over three years. Data for the other patients were analysed until they dropped out (4 groups based on length in study). RESULTS: Factor analyses of all items suggested that there were three intercorrelated factors: a General, a Memory and a Spatial factor for which we constructed corresponding domains. Overall there was a cognitive improvement at six months followed by a linear drop over time for the three domains. Some group and domain differences were identified. Patients who remained longer in the study had better initial performance and a slower deterioration rate. The early dropouts showed no improvement at six months and many dropped out due to side effects. The other groups displayed a performance improvement at six months that was less pronounced in the Memory domain. Before dropping out, deterioration accelerated, particularly in the Spatial domain. CONCLUSIONS: The course of illness in the three domains was heterogeneous among the patients. We were not able to identify any clinically relevant correlates of this heterogeneity. As an aid we constructed three algorithms corresponding to the cognitive domains, which can be used to characterize patients initially, identify rapid decliners and follow the course of the disease. Available treatments for Alzheimer’s disease (AD) need to be evaluated in order to determine whether the clinical benefits justify their additional costs. This study evaluated the cost-effectiveness of donepezil treatment compared with no-drug treatment of mild and moderate AD from the perspective of society and the health care system in Spain. A Markov model was designed to simulate the natural history of a cohort of patients with mild and moderate AD. Monthly transition probabilities were estimated from the international literature and donepezil clinical trials. Direct medical and non-medical costs and utilities were derived from Spanish studies. Local data on tolerance and medication withdrawal rates were incorporated into the model. Incremental cost-effectiveness ratios for a range of realistic treatment options were calculated. A probabilistic sensitivity analysis was carried out using a Monte Carlo approach with 10,000 iterations. In the baseline scenario (24 months, patients initially with mild AD) incremental cost-effectiveness for direct medical costs was 20,353 eur/QALY. When all costs were taken into account, donepezil treatment was the dominant strategy. Incremental cost-effectiveness ratios vary according to the selected perspective. For the baseline scenario, donepezil treatment is cost-effective with a probability of 95% for a threshold efficiency of 25,000 eur/QALY. Fans of the Potter series will remember “Beedle” from the seventh and final installment of the series, “Harry Potter and the Deathly Hallows.” Albus Dumbledore, the former headmaster of Hogwarts School of Witchcraft and Wizardry, gave this set of tales to Hermione Granger, one of Potter’s best friends, to help in the destruction of Lord Voldemort. To non-Harry Potter fans, all this probably makes as much as sense as if I was writing in Latin, but trust me when I tell you, Rowling’s fans have been excitedly awaiting another nugget of reading beauty from her since the release of Potter’s final chapter July 21, 2007. The first I heard of “Beedle” was when Rowling simply wrote the tales for friends of hers and gave them away. At the time, I read that she wouldn’t print it for the public. A little more than a year after the release of “The Deathly Hallows,” Rowling gave in to demand and printed these tales. She also notes that all proceeds from the sale of this book will go to the Children’s High Level Group, a charity cofounded by Rowling and Baroness Nicholson of Winterbourne, England. The book includes five of the most popular wizarding fairy tales in the world of “Harry Potter.” It also includes footnotes by Rowling and Dumbledore and extensive explanations at the end of each story by Dumbledore, which sheds a little more light into the magical world. As Rowling wrote in the introduction, “‘The Tales of Beedle the Bard’ is a collection of stories written for young witches and wizards.” These are similar to Muggle (non-magical people) stories such as Aesop’s Fables. The most famous of all the stories is the last, “The Tale of the Three Brothers,” which was featured prominently in the seventh book. The stories are cute and funny, and like Aesop’s tales, have life lessons and messages embedded in the stories themselves. It teaches young magical people the power and possible folly that can come from abusing magic. It really was a nice add-on to the series. I gave it to a friend for an early Christmas present, and she read them to the young girl she’s a nanny to. Whether you’re reading these stories to new, up-and-coming readers, or if you just want to get a little insight into everyone’s favorite magical world, “The Tales of Beedle the Bard” is a quick read that can serve both purposes. I can only hope Rowling allows more of these little windows into her wonderful world. 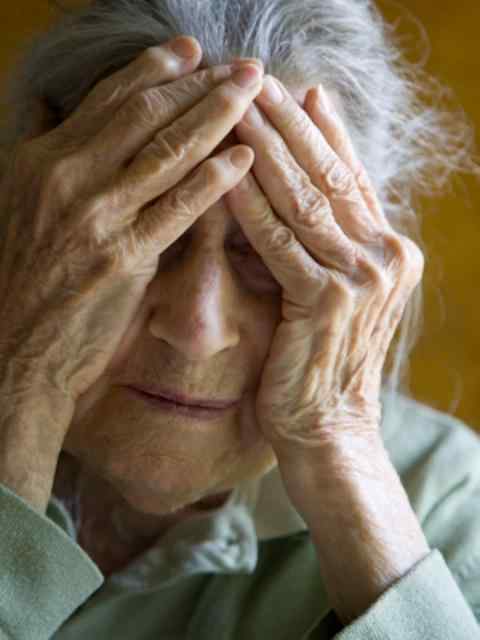 1-In contrast with the earlier stages and, in particular, the predementia stage, of Alzheimer’s disease (AD), severe dementia is often neglected. However, the advanced stages of dementia are just as important as the earlier stages because of their frequency, their impact on the lives of patients and their caregivers, and their economic consequences. All patients with moderately severe to severe dementia must be evaluated for cognitive, functional, psychological and behavioural symptoms. Thorough and regular evaluation of patients in the advanced stages of the disease has the following objectives: improving patients’ quality of life by encouraging use of their remaining capacities; setting up or modifying a care plan; playing a role in the follow-up of measures instituted; and documenting the natural history of the disease. Therapeutic trials with cholinesterase inhibitors and memantine have been conducted in patients with severe stages of AD. As a consequence, memantine has been approved by numerous drug agencies and donepezil has been approved by the US FDA for use in severe stages of the disease. However, it is important to note that at this stage of AD, and perhaps more than in any other, management must be global and multidisciplinary because of the expression of the disease, its complications and intercurrent disorders. Indeed, thorough knowledge by health professionals of the expression of all disease disorders and intercurrent disorders, and of their significance during the severe stage of AD, is important in the management of these patients to limit complications and facilitate prompt establishment of appropriate care. More effort is needed in both clinical and research settings to ensure that patients with severe AD and their relatives can be offered optimal management. 2-SEATTLE, Wash — February 20, 2009 — Women who have multiple sclerosis (MS) may reduce their risk of relapses after pregnancy if they breastfeed their babies, according to a study released today that will be presented at the American Academy of Neurology’s 61st Annual Meeting in Seattle, Washington, in April. For the study, researchers followed 32 pregnant women with MS and 29 pregnant women without MS during each trimester and up to 1 year after they gave birth. The women were interviewed about their breastfeeding and menstrual period history. A total of 52% of the women with MS did not breastfeed or began supplemental formula feedings within 2 months of giving birth. Of those, 87% had a relapse after pregnancy compared with 36% of women with MS who breastfed exclusively for at least 2 months after pregnancy. Sixty percent of the women reported their main reason for not breastfeeding exclusively was to start taking MS treatments again. Women who began taking MS treatments within the first 2 months after giving birth had significantly higher risk of suffering a relapse than women with MS who did not start taking medications early, regardless of whether they breastfed. Those who breastfed exclusively got their menstrual periods back later than the women who did not breastfeed or began early supplemental feedings. ROCKVILLE, Md — February 23, 2009 — Following a review of updated clinical data, the US Food and Drug Administration (FDA) has determined that treatment with zonisamide (Zonegran) can cause metabolic acidosis in some patients, characterised by hyperchloraemia and decreased serum bicarbonate. Generally, zonisamide-induced metabolic acidosis occurs early in treatment, but may occur at any time during treatment, and with any dose (high or low). The risk appears to be more frequent and severe in younger patients. Signs and symptoms of persistent metabolic acidosis may include hyperventilation, fatigue, and anorexia. More severe symptoms may include cardiac arrhythmias and stupor. Patients with predisposing conditions or therapies, including renal disease, severe respiratory disorders, diarrhoea, surgery, ketogenic diet, or certain other drugs may be at greater risk for developing metabolic acidosis following treatment with zonisamide. Although the effects of metabolic acidosis from zonisamide on the fetus are not clearly known, metabolic acidosis in pregnancy may affect fetal development and the ability of the fetus to tolerate labour. In addition, significant amounts of zonisamide can appear in the breast milk of nursing women taking zonisamide, and the effects of this exposure on the infant from metabolic acidosis, or any other cause, are unknown. The FDA recommends that healthcare professionals measure serum bicarbonate before starting treatment and periodically during treatment with zonisamide, even in the absence of symptoms. If metabolic acidosis develops and persists, consideration should be given to reducing the dose or discontinuing zonisamide, and modifying the patient’s antiepileptic treatment as appropriate. If the decision is made to continue patients with metabolic acidosis on zonisamide, then alkali treatment should be considered. The FDA is working with the makers of zonisamide to revise the product labeling to reflect this new safety information. To report any unexpected adverse or serious events associated with the use of this drug, please contact the FDA MedWatch program and complete a form on line at http://www.fda.gov/medwatch/report/hcp.htm or report by fax to 1-800-FDA-0178, by mail using the postage-paid address form provided on line, or by telephone to 1-800-FDA-1088. From the days of bebop, when jazz ceased to be pop music, and instead became solely about the music and the musicians who played it, jazz has been symbolically linked to the civil rights movement. The music, which appealed to whites and blacks alike, provided a culture in which the collective and the individual were inextricable, and in which one was judged by his ability alone, and not by race or any other irrelevant factors. “Jazz,” Stanley Crouch writes, “predicted the civil rights movement more than any other art in America.”Not only was jazz linked to civil rights in its structure. Jazz musicians took up the cause, using their celebrity and their music to promote racial equality and social justice. Below are just a few cases in which jazz musicians spoke out for civil rights. The lyrics, out of the context of the show, and sung by a black performer in that period, were a risky and weighty commentary. Billie Holiday incorporated the song “Strange Fruit” into her set list in 1939. Adapted from a poem, by a New York high school teacher, “Strange Fruit” was inspired by the 1930 lynching of two blacks, Thomas Shipp and Abram Smith. It juxtaposes the horrid image of bodies hanging from trees with an description of the idyllic South. Holiday delivered the song night after night, often overwhelmed by emotion, causing it to become an anthem of early civil rights movements. Benny Goodman, a preeminent white bandleader and clarinetist, was the first to hire a black musician to be part of his ensemble. In 1935 he made pianist Teddy Wilson a member of his trio. A year later, he added vibraphonist Lionel Hampton to the lineup, which also included drummer Gene Krupa. These steps helped push for racial integration in jazz, which was previously not only taboo, but even illegal in some states. Goodman used his fame to spread appreciation for black music. In the 1920s and 30s, many of the orchestras that marketed themselves as jazz bands consisted only of white musicians, and played a mawkish style of music that only drew sparingly from the music that black jazz bands were playing. In 1934, when Goodman began a weekly show on NBC radio called “Let’s Dance,” he bought arrangements by Fletcher Henderson, a prominent black bandleader. His thrilling radio performances of Henderson’s music brought awareness of real jazz to a broad and mainly white audience. However, Ellington dealt with prejudice in subtle ways. His contracts always stipulated that he would not play before segregated audiences. When he was touring the South in the mid 1930s with his orchestra, he rented three train cars in which the entire band traveled, ate, and slept. This way, he avoided the grasp of Jim Crow laws, and commanded respect for his band and music. Ellington’s music itself fueled black pride. He referred to jazz as “African-American classical music,” and strove to convey the black experience in America. He was a figure of the Harlem Renaissance, an artistic and intellectual movement celebrating black identity. In 1941 he composed the score to the musical “Jump for Joy,” which challenged traditional representation of blacks in the entertainment industry. He composed “Black, Brown, and Beige” in 1943 to tell a history of American blacks through music. The Centers for Disease Control and Prevention (CDC) has been receiving reports of illnesses caused by a type of Salmonella called Salmonella Typhimurium, which have been traced to certain peanut products. People with impaired immune systems, such as those with HIV/AIDS, are more likely to become severely ill from a Salmonella infection than are others. When severe infection occurs, Salmonella may spread from the intestines to the bloodstream and can even cause death unless properly treated. Most persons infected with Salmonella develop diarrhea (sometimes bloody), vomiting, fever, and abdominal cramps within12 to 72 hours after infection. Illness ranges from mild to severe. The illness usually lasts 4 to 7 days, and most people recover without treatment. However, infants, the elderly, and people with impaired immune systems are more likely to become severely ill from a Salmonella infection than are others. If you have the symptoms listed above, see your health professional. Infection is usually diagnosed by culture of a stool sample. If your health professional determines you have the Salmonella infection, he or she will likely recommend that you increase your fluid intake to replace losses from diarrhea and, in some (but not all) instances, may also prescribe antibiotics to speed recovery. Your health professional can help you determine the right amount and type of fluid for your particular needs. A list of peanut products affected by the recall can be found on FDA’s searchable Peanut Butter and other Peanut Containing Products Recall List (http://www.accessdata.fda.gov/scripts/peanutbutterrecall/index.cfm). The exhibition “Art of Two Germanys/Cold War Cultures” runs through April 19, 2009 at the Los Angeles County Museum of Art (LACMA). It will then travel to Germany, where it will be shown at the Germanisches Nationalmuseum in Nuremberg (May 23-Sept. 6, 2009) and the Deutsches Historisches Museum in Berlin (Oct. 3-Jan. 10, 2010). Click on the picture gallery below to see some of the works from the exhibition. What is the exhibition’s aim? Stephanie Barron: The purpose of the exhibition is really to look freshly with a distance of twenty years and of being outside Germany at the remarkable range of art created during the Cold War in both Germanys. We want to look freshly at some of the more familiar ideas about how art has been characterized from this period. It’s been primarily characterized by painting — which is one reason why the exhibition also has so many examples of sculpture, photography, installation, video, documentation of performance and artists’ books. We also try to examine the notion that so much of post-war German art is really expressionist in nature. By looking at multiple threads, I think we make that argument. We also wanted to look closely at works by both East and West German artists together, wherever possible in the same room, and not try to isolate them. It sounds like you’re interested in changing the way people think about art from the Cold War period. I think we are, though I don’t think this is necessarily what we started out to do. It’s the result of good investigation. Coming at this project as someone in the United States, I don’t bring the same baggage that I would if I were a curator in Germany — for better or for worse. I was happy to be able to work with German colleagues on the exhibition. But keeping in mind how this was going to work for a US audience was always very important. I think I wasn’t burdened by many of the expectations that (Germans) would have coming to the exhibition. I’ll give you an example. When we install an exhibition, every work of art has a label. It says the artist’s name, where they were born, where they died, or where they lived and where they were active. In essence, you have to read the labels to find out who is East and who is West. For many in our audience, who are equally unfamiliar with Konrad Lueg or (Eugen) Schoeneberg as they are with (Werner) Tuebke or (Willi) Sitte they come freshly looking at it as art — not with any preconceptions about East as one thing and West as something else. I find that very liberating and very fresh. The exhibition is going to Germany, where it will actually spend more time than in California. Do you think it will be more challenging there with a German audience? I don’t know. One of the things I’ve noticed over 30 years of doing exhibitions and traveling quite a bit in Germany is that the demographics in Germany have changed. I wonder if people coming to an exhibition like this, depending on their generation, bring the same expectations or the same baggage to it. But I would suspect that a younger generation — people in their twenties — might look differently at this show than people in their sixties. Artistically speaking, can we talk about a “unified” Germany, even 20 years after the fall of the Berlin Wall? This exhibition ends in 1989 and I don’t think it’s appropriate in the context of this one to make sweeping observations about the post-Wall period. But I do think that we try to challenge the preconceptions. The second room of the exhibition brings together on one wall examples of Socialist Realism from the 1950s, while on another wall there’s informal and abstraction — (Emil) Schumacher, KO Goetz. And yet right in the middle is a large table filled with these marvelous, small cultural exercises by Hermann Gloeckner from Dresden, who totally confounds any expectations or stereotypes. So I think we’ve tried to find artists who are not necessarily always the most expected. Do you think that, based on this exhibition which ends with 1989, conclusions can be made about the relationship between art and politics in general? I think that it’s hard to look at German art of the 20th century and not think about the intersections with politics. Certainly, art of the 90s — internationally — is just a much more global experience. When I go to Berlin now, I can just as easily meet someone from London as from Los Angeles or Budapest or Berlin or Hamburg. It’s a much more international situation, particularly in Berlin. I find that very exciting, but I think the “Germanness” has become less identifiable than perhaps it was 25 years ago. How did your personal interest in German art develop? As an undergraduate and graduate student, I studied French art, like most art historians in the United States. At Columbia University, when I was there, we still had the last gasp of the emigres, but I was studying French and contemporary art. When I moved to Los Angeles in the mid-1970s, I found that there was this great library of German Expressionism and a great print and book collection here. Being away from New York, before the Ghetty was available with its great library, being able to do original resource in LA was an opportunity I didn’t want to pass up. It was also a topic that hadn’t been as well mined by others. Do you have a favorite piece that you stop and look at each time you walk through the exhibition? In the 230 odd years since Ludwig van Beethoven’s birth, hundreds of artists have been inspired by him. Perhaps due to his stern and powerful features, artists of all kinds have represented Beethoven visually, ranging from portraits painted during his lifetime to Hollywood movies.